IT WAS MY FAULT, I SHOULD HAVE KNOWN YOU DIDN'T LIVE IN ABERDEEN. That was proper fun! I look forward to the second part. The story had so much time to breathe. Except for the co-ordinate rationalisation. That made as much logical sense as a riddle from 1966 Batman. Great ending. I'm on board for part 2. This felt like Capaldi's The Waters of Mars. And while I'm told that episode is amazing, I wasn't that into it. Just like this. That said, I am absolutely on board for multi-part serials. Give me a whole series of that, yes. Okay, here I am, because: The final shots in the TARDIS--hadn't the two crew members completely changed clothes? Am I so sleepy (I'm at a convention and thus sleep-deprived) that I missed them grabbing their scarves and jackets when they had 30 seconds to run? Editing error? Timey-wimey hijinks? hadn't the two crew members completely changed clothes? Because they are going back in time, so needed ... disguises? That's how I read it, and presumably the Doctor needed to calculate the co-ordinates (short jumps are harder), and they are going into a Scottish valley (so, I assume colder?). It didn't strike me as odd at all. Ah, OK. I thought they had just gotten into the TARDIS (more or less realtime), but I expect you're right. I like two parters done like this, space to breath, like the classic doctor. Everything is so old school. At the same time i rather liked the first segment with the team, the team made sense and it felt like the beginning of a movie, maybe not a major movie, but still good production values. Yeah, I just checked that scene: wasn't real time at all. I also noticed how 'skimpy' the Drum military outfits were. I guess the aircon was being used on the reactor, and not creature comforts. Also, an oblique Star Trek reference? From io9's review. When I saw that monster painting, I assumed the submerged village was going to be the viking one. I guess maybe not. So much fun. Clara is actually a pretty great companion when she's not "the impossible girl" or needing to lead a double life to keep Danny Pink happy. I think that's another old school touch that is making this series so good. The examination of a companion's home life was a great idea when it was Rose Tyler and done for the first time. But it's kind of nice to give that a rest for a little while and just let them go have adventures. That was a really strong episode. It reminded me of The Empty Child. Did no-one else crack up at Clara's cards for the Doctor (friend-slash-family member- slash-pet? And his whole "Duty of care?" He's absorbed her teacher-ese vocabulary and the little touches of how Clara looks at the universe too rubbing off on him just as much as she's taking on so much of who he is and sees the world. There's a nice clip about that scene on youtube - they were crowd-sourced? Clara is worrying me because she's acting like an extreme sports lover who's starting to lose the fear that keeps them alive. This does not bode well. That scene in the TARDIS where the Doctor wants to protect Clara, she can't let on that he is right, and the Doctor realizing she isn't going to heed his warning anyway, was awkward in all the best ways. Knowing that this is the final series for Clara, I thought the scene where the Doctor and Clara were looking at each other from behind the two flood doors, and the water crept up over Clara's window-framed face was somewhat poignant. Almost foreshadowing in a way. A Sarah Jane Smith reference. Here's what else they said. Someone I know on twitter (yes, I know, sorry) said they wished there was a "THAT WOULD BE AN ECUMENICAL MATTER" card. I am ridiculously easy to scare with ghosts, but I say, those were very creepy ghosts! 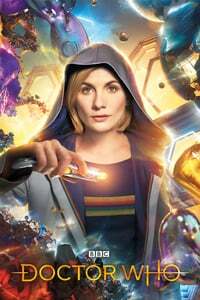 And the cliffhanger was really well done: of course The Doctor isn't going to die, but it sure left me unsure how the plot was going to go! This was a great episode. I can't wait for part 2. Easily the best 12th Doctor episode. I was really starting to lose faith. The Doctor and Clara have a great relationship when they are getting along. I'm sure you could do a good storyline with tension between the Doctor and his companion, but that was not it. Capaldi is well-known for his fine acting, but I think he absolutely nailed it in this episode. Just the right balance of all the character elements, pitched perfectly. Highly watchable! And YAY for including the deaf character complete with signer! Although, if you can give an Ape a talkie glove in Congo: why so low-tech? The vibe on this episode seems to be pretty good. Modern classic? Or will they stick the landing? I think the decision to go for a completely different setting bodes well. It was a little strange to feature signing so prominently in an episode that emphasized that the TARDIS translates all known languages, including written languages. It made me wonder why the TARDIS wasn't translating her signing, but that made me further wonder: wait, how would that work? Did anyone else wonder why the original base/town was underwater after the dam burst? They said it was a valley. I'm no geoengineer, but I expect the valley was thin enough that it could hold the volume of water. Or it was a reclaimed valley. Bleeding Cool has, heh, The Ambassadors Of Deaf. So why doesn't Cass let Lunn on the ship at the start? Is she just being protective? SPOILERS! He hasn't need the words. I actually thought it was global warming that flooded the valley originally. 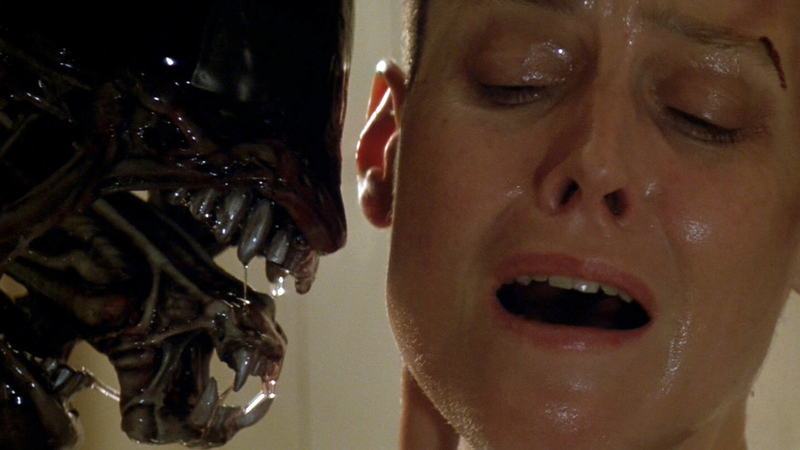 That whole corridor-chase-with-handoffs business was pretty much lifted wholesale from Alien^3, no? It was a bit Red Dwarf / Aliens in the beginning; thoroughly enjoyed, I'm so looking forward to this season. That explains why he wasn't killed by the ghosts, but it doesn't explain why she didn't let him on ship to see the words. Unless The Doctor in the past tipped her off somehow. There was a section where it was suggested that someone in the base was not working for the living peoples' interests. I'm curious if she's some sort of double agent. Also, the deaf character was treated in a way that didn't feel like a way to force in diversity. It would be cooler if her uniqueness wasn't also used as a plot point, but I dig them making an attempt. Plus Corporate dude not wanting to abandon the station because it cost too much (the installation has a substantial... pounds sterling value, no doubt). I'm really enjoying the for-contemporary-tv relaxed pacing of the two-parters this season, and unlike many of those of seasons past so far I don't feel like the first parts are being padded out to fill runtime, nor that five hours are being crammed into an hour and a half of story. Anyway, I agree with everyone saying this was Capaldi's best episode so far -- not that his Doctor really needed the polish, but somehow he seems more like his previous incarnations than he's ever been before while still being entirely his own thing. And I cackled at the cue cards. Really looking forward to the next episode. Really great stuff. The two parter format works so well, I hope they stick with it. I liked how the Doctor showed them the psychic paper with the usual "I'm the Doctor" introduction and everyone was like "Oh you're from UNIT?" and knew who he really was. Not sure that's been done before with characters who weren't explicitly members of UNIT or whatever, but a clever way to skip the whole "How did you get here? What's a Tardis??" stuff. I liked that too: it was less "This will make you let me in" and more "Who am I, what part do I play?" It informed the Doctor as well as the base dwellers. The Den of Geeks link in the post mentioned that Davies used the Psychic Paper as a plot device to quickly let the Doctor get on with the adventure rather than filling show time with people distrusting the Doctor and his companions. From fearfulsymmetry's link for the Cass & Lunn extra, I loved that they created new sign words for "Vector Industries" and "prototype".